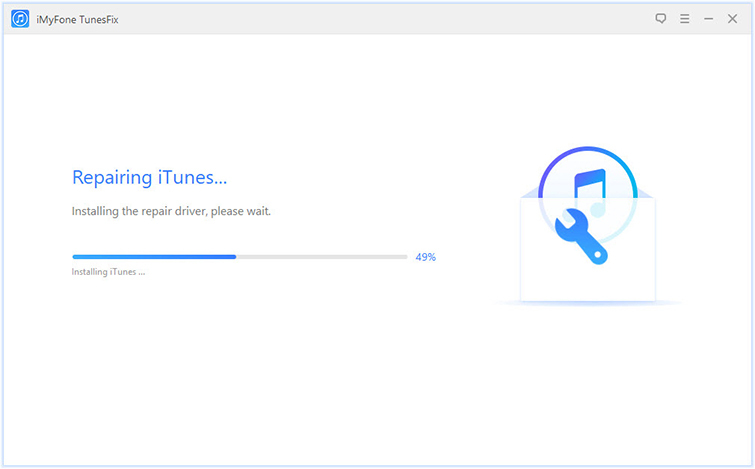 iTunes is the primary software the majority of iOS users utilize in order to back up and restore their iDevices’ data. 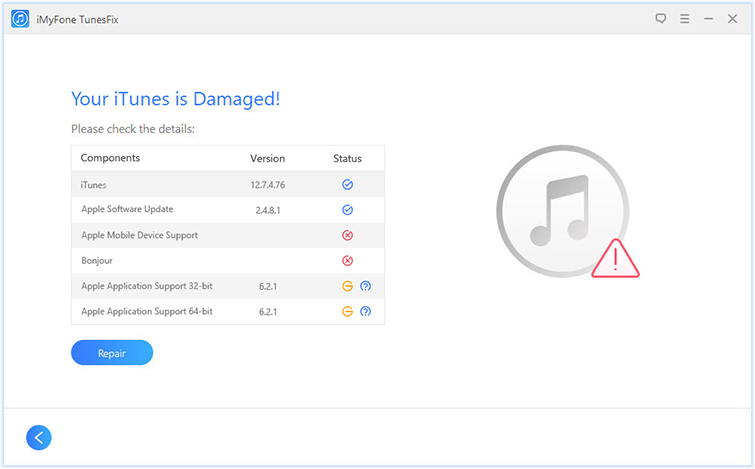 Recently, some users have been encountering a problem related to the backup feature of iTunes. The error prompts iTunes could not backup the iPhone because there is not enough free space. Fortunately, there are several ways to fix this problem. Following are some ways to fix iTunes could not backup the iPhone because there is not enough free space. 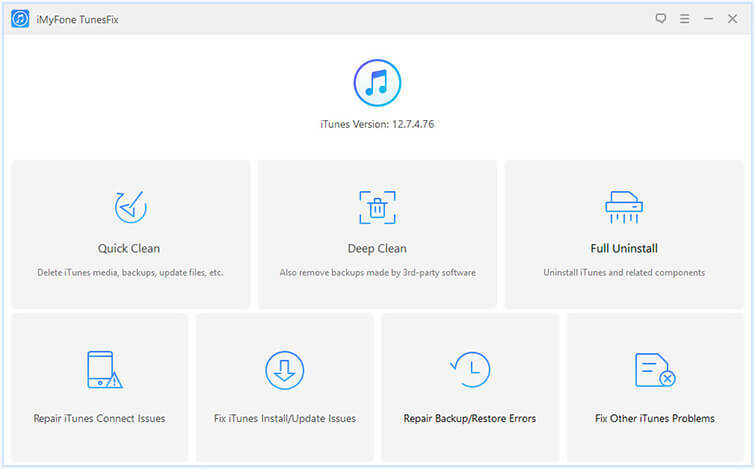 iMyFone TunesFix is a professional iTunes repairing software that is equipped with many features to help iOS users repairs various iTunes issues. If you are encountering “iTunes could not backup the iPhone because not enough free space is available on this computer” problem, then it is recommended that you give TunesFix a try. This software has a specific mode for this purpose. It is called Repair Backup/Restore Errors. By using this mode, you will be able to quickly solve the problem and backup/restore your iDevice’s data without any hassle. Fix 100+ iTunes problems quickly and conveniently. Advanced and powerful manual iTunes repair modes. Boost iTunes’ performance via Quick Clean and Deep Clean modes. Completely uninstall iTunes with one-click via Full Uninstall mode. Step 1: Open iMyFone TunesFix on your computer. Step 2: TunesFix automatically scans for potential iTunes issues when you launch it. It is recommended that you let the automatic scan finish. If a problem is detected, then you will be prompted to fix it via the Repair button. If no issue is detected, then TunesFix’s home screen will open. Step 3: Select Repair Backup/Restore Errors mode from the home screen of the software. Step 4: Click the Repair button on the next screen. TunesFix will attempt to repair iTunes’ backup/restore problem. The software will download and install the repair drive during this process, so it is recommended that you keep your internet stable. If you cannot backup your iDevice’s data via iTunes due to low disk space issue, then it is recommended that you free up space by using Quick Clean or Deep Clean mode of TunesFix. 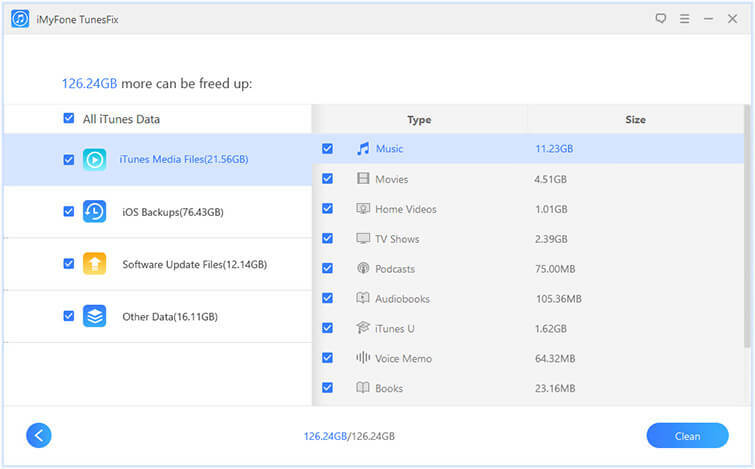 These modes clean the temporary and junk files related to iTunes and help free up a lot of disk space. Step 1: Launch TunesFix on your computer. Step 2: After the automatic scan, click on the Quick Clean or Deep Clean mode depending on your preference. Step 3: Click the Scan button on the next screen. Step 4: Select the data type that you want to delete and then select Clean to start the cleaning process. Run Disk Cleanup: Disk Cleanup is the default utility in Windows that can get rid of unwanted and unnecessary files from the hard drive and free up much needed space. Simply run this utility and choose what you want to clean. Uninstall Softwares That You No Longer Need: Some softwares take a lot of disk space. If you no longer need a software, then it would be a good idea to uninstall it from Programs and Features to free up space. Clean Temporary Files: If you want to clean temporary files used by third-party apps such as Chrome or Firefox browser caches, then use a software such as CCleaner to do it. Sometimes a simple restart of the computer and iDevice solves such issues. 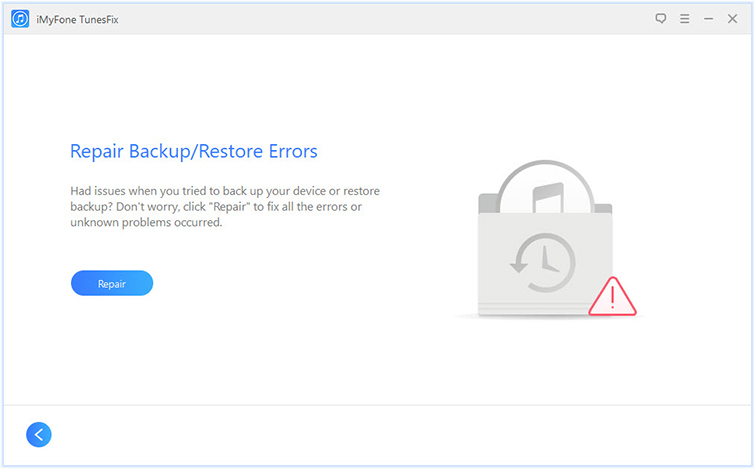 It is recommended that you restart your PC or Mac and iDevice and then try to create backup via iTunes again. The backup problem may occur due to malfunctioning USB port of your computer. If you think this is the case, then it would be a good idea to try a different USB port to connect your iDevice to your computer. Deleting corrupted iTunes backups will not only free up disk space, but it could also solve the backup problem. Simply navigate to Preferences > Devices in iTunes and select and delete the backups that you think are corrupted. In conclusion, there are a number of ways to solve the iTunes backup problem. While any of the methods mentioned above may fix this issue, it is recommended that you try to fix the problem with TunesFix first because it is fast, efficient, and convenient way to solve the issue as compared to other methods.